In the browser, it fails before login. Even though I now get through to the list of Google accounts, after I select my main email address, the response is a failure, as attached. digital.nomadic.cloud unexpectedly closed the connection. The domain is otherwise fully accessible. All the settings look fine. I've added the domain with and without the port number on the Google end. 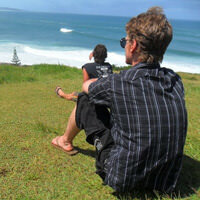 Can you copy the URL at which you access your sure within your browser and paste it here? Can you do the same for the url setting in config.json? OK... removing the port, :4567 - helped with the Google SSO to finally work. 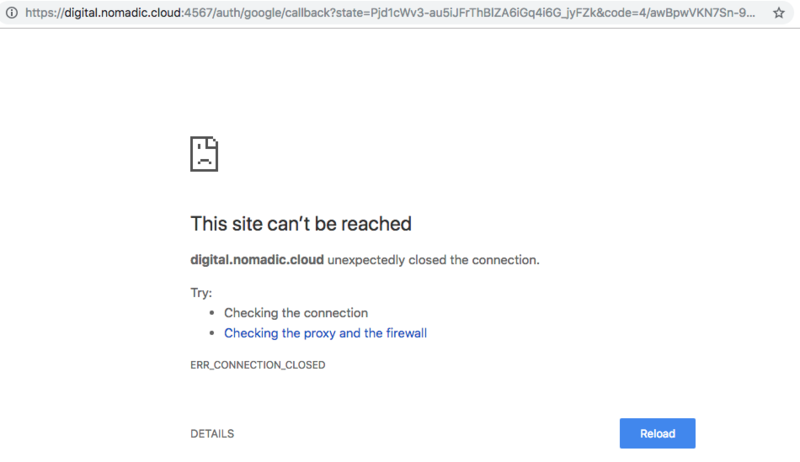 just "https://digital.nomadic.cloud" - and it's working fine. I know that during the set up process (tried 5 times previously), ensuring the port here made a difference with making something else work. When I see that bug again, I will post that separately. Ah, yes, that is potentially a stumbling block... port property is optional, if not specified, NodeBB will listen on port 4567. However the url property is the one that is referenced by NodeBB, and is used as the canonical reference to itself... so when somebody asks your forum what it is to be called, NodeBB will respond back with the value in url, so the port is required if you are accessing your forum with port number in url. @yariplus said in After changed ip get badway 502 error and nodebb does not start: Your forum may work, but has no security, anyone can login and delete/steal the database. You need to setup your redis so that it has a password, and that it restricts access to localhost. @yariplus thank you so much. pkill -9 node then ./nodebb restart and service nginx restart fixed all problems. It seems a previous NodeBB was still running in memory @PitaJ thans a lot for the help! Truly amazing app with excellent community support!